Great thanks to Kevin Cooper for this fabulous review. I was so glad to read it! I hope your book is a great success and give peace to the readers ! Merci beaucoup, Christiane. I hope so too! Thanks, Annette. 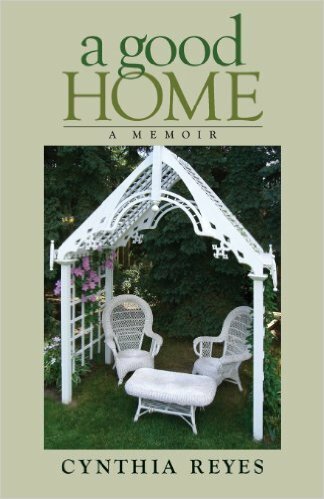 You may recall that the first one, A Good Home, was mostly written before the accident, so I am thrilled that I can say this one was completely written in the years AFTER the accident. I badly needed to feel that I had accomplished something. Mind you, kudos to my researcher, mentors, editors, doctors, therapist and publisher who all helped in some way. It must be very exciting to see your book reviewed. You’re right! It really is. But I also dread the thought of a reviewer hating my book! Does it make you nervous, when you see a review of your books? The review is wonderful! It makes me very nervous. I saw that Kev Cooper had me on the list of books he was reading, and instantly became nervous. How did I miss this before??? What a fabulous review! Isn’t it, though? It was a relief to see that Kev liked it. Thanks, Joanne. As a writer yourself, you know how it feels to get a great review, right? Wonderful! As if I weren’t anxious enough to read it – I’ll now be on pins and needles till I can get my hands on it! 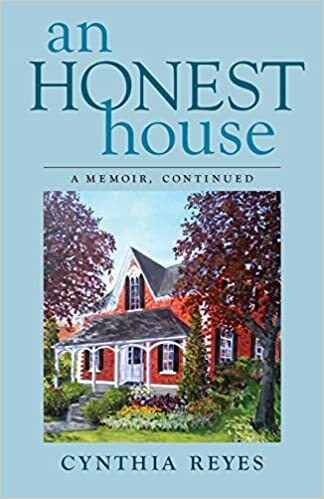 Well, you have to let me know what you think after reading it, since you and I are history buffs who like buildings that have a story, and the people who have lived in them. What a brilliant review, hope I’ll get to read your book one day soon. Oh, Kate, that would be very nice. I’ll make a wish that you are able to. Another great review. Kudos Cynthia. I hope your book spreads much love and cheer. Brad, thanks always for your support. You are most welcome Cynthia. Thanks, Amy. I was trying to tell blogger KerryCan what rose apples smell like. How would you describe the fragrance? Green Roses, as in not quite ripe. If that helps! What?? I’ve never ever smelled green roses. Does that have a smell? There are actually Green Roses, Chloris has some. I think by green I meant not as sweet as roses, like before your pineapple or mango gets ripe it does not smell as sweet. I thought that a minute after replying. I wonder if they smell like Rose Apples? Great review and a good reminder to get my copy! Yes indeed! There will be a test! Many libraries are great at bringing in new books, I notice. At least, that’s true for Canada. This is a wonderful review, Cynthia! It really is, Lavinia and much appreciated. You must be excited and nervous at thee same time…letting your brain child loose in the big world of readers and critics! happy you got an excellent review ! Thank you, Johanna. All the reviews are excellent so far, but you’re so right: I’ve let my child loose in the big world of readers and critics, and that makes me anxious. We don’t want our children to be disliked, right? Lovely review, Cynthia. So glad for you! All the very best. Now that is a wonderful review! Congratulations Cynthia ..
I’m relieved too. I did recommend it to him! Thank you VERY much for that recommendation! Thank you very much for the vote of confidence in choosing my book. That’s lovely news. 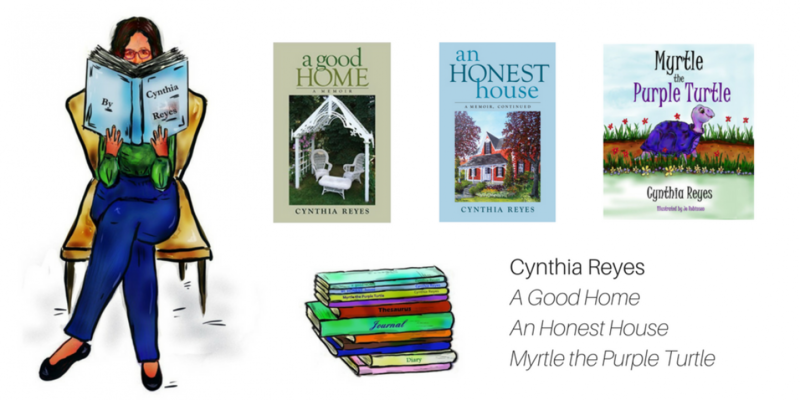 What a wonderful review Cynthia! I hope you are starting to feel more assured that you have written a good book and that people are really enjoying reading it. I have read it now and loved all of it. I laughed out loud and was near to tears and didn’t want the book to end. I am no reviewer – I don’t have the skill – but I know a well-written book when I read one and yours is. I admire your spirit and your honesty; your descriptions of the troubles you and your family have faced since your accident fill me with sorrow. Dear Clare: So glad you got a chance to read AHH. I’m honoured, in fact, as I know you have a very busy life! Thanks for calling it a well-written book – that means a lot to me. You have helped me over these recent years more than you know. Thank you, Clare. My best to you and your family. Thank-you Cynthia. I have so little knowledge about reviewing books and wouldn’t wish to seem patronising when all I have is admiration for anyone who writes a book! And I do admire you greatly. Hmmm…. I think too much is made of the skill of book reviewing. I don’t know how to “professionally” review a book myself. But I know this: whether a book holds me in its thrall or leaves me cold within 10 pages; whether the main characters are compelling and I have at least one of them to cheer for; whether the storyline is believable and the world of the story is appealing enough that I want to spend time there; and whether I would want to read this book again and recommend it to my friends. We write books for readers, not reviewers, and when a reader likes my book well enough to tell me or someone else so — well, that’s a prize, right there! You are not patronising in the least, Clare. Thank you for reading my book.